After four days of competition at the indoor swimming pool “Milan Gale Muškatirović” where compete more than 350 participants from 40 countries of the world, finish of 20th CMAS World Championship in Finwimming for seniors – Belgrade followed at Ada Ciganlija in relay events: 4×2000 meters and individual 6000 meters. On the fifth day of the World Championships in Belgrade competitors have moved to the popular Belgrade sea where they shown swimming in the open marathon disciplines. 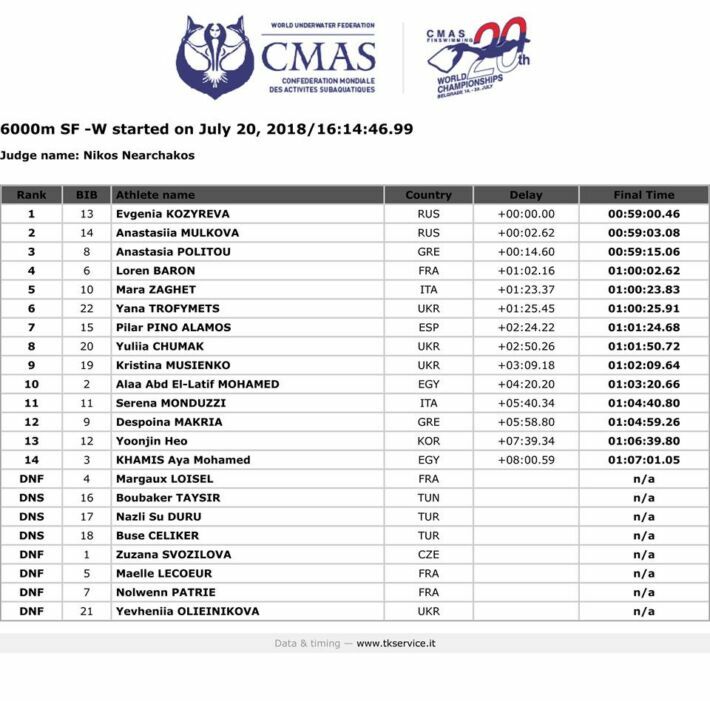 Individual gold in the 6000m W won Russian Evgeniva Kozyreva with results 00:59:00:46. Second place went to also of Russia’s team member Anastasiia Mulkova (00:59:03.08). Bronze won a Greek Anastasia Politou (00:59:15.06). In the men’s 6000m M gold won Ukraine’s Oleksii Zakharov with score of 00: 56:53:18, silver went to the Greek Marios Armoutsisu (00:56:55.95), while the bronze took the Italian Davide de Ceglie (00: 57: 07:47). 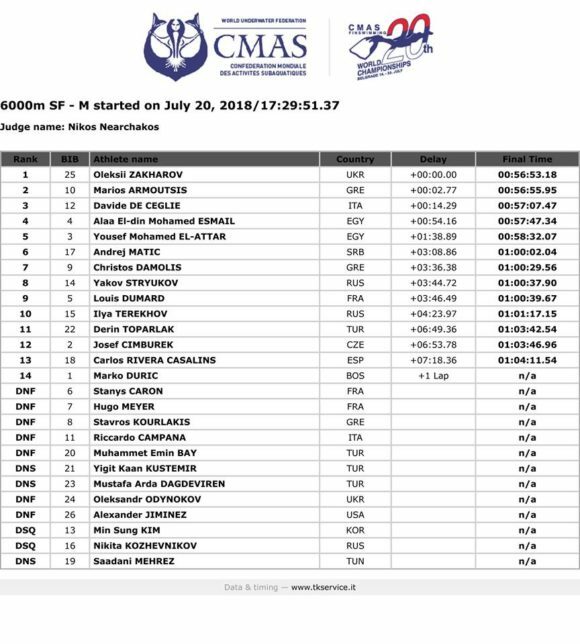 Serbia was in this discipline represented by best finswimmer Andrej Matić who in competition with 26 contestants from around the world, took the high 6th place. In competition 4x2000m SF mixed triumphed team Ukraine, the second place went to Russia, while the bronze went to Italy. 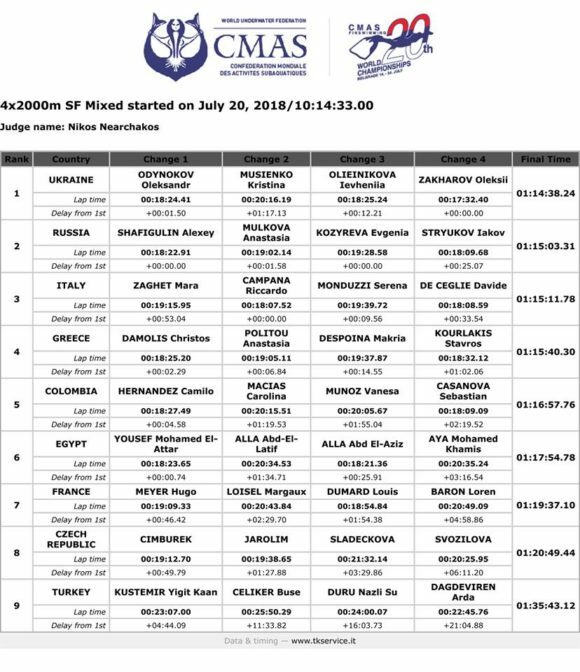 With marathon on Ada Ciganlija Lake completed 20th CMAS World Championship in Finswimming for seniors – Belgrade. 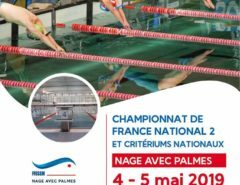 “We are extremely pleased both organizationally and a picture that went from Belgrade to the world with this competition, 20th CMAS World Championships in Finswimming. For the first time this competition was broadcast live on national TV station and also the Olympic channel allowing all lovers of this sport from all over the world can follow the race from Belgrade. We are happy with the achievements, we have succeeded in all aspects, but also we are sad because it’s over a big and beautiful event that has brought us new acquaintances, friends, lots of emotions, moments that will remain forever in our hearts and memories. We now turn to the future, new plans, actions to make this sport continues to grow and gain the status it deserves as one of the most attractive sports in the world. 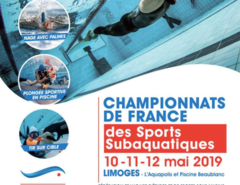 We are grateful to the State, Ministry of Youth and Sports of the Republic of Serbia, City Belgrade, all the sponsors and friends who have contributed to successfully organize a great event for our sport and country, “- said the president of the Serbian Underwater Federation and member of the Executive Bureau of the CMAS- Božana Ostojic. 20th CMAS World Championship Finswimming was officially closed by CMAS President Anna Arzhanova who pointed out that Belgrade was the great host of this great competition, thanked the organizers emphasizing that everything was functioning at the highest level and in the way the world festival of swimmers with fins deserves. The final part of a wonderful swimming week in Belgrade will be the University competition in Finswimming by the Serbian Underwater Federation in agreement with CMAS and FISU. Universities Competition will be held on 21 and 22 July at the pool “Milan Gale Muškatirović”.